HealthEquityGuide.org is a resource with inspiring examples of how health departments have concretely advanced health equity — both internally within their departments and externally with communities and other government agencies. Over and over, health departments are asking: “What strategic steps can we take to advance health equity at our health department?” Check out the webinar materials to hear success stories from across the United States to answer this question and learn about our Health Equity Guide. We hosted this 4-part webinar series with national experts and local health departments to discuss their work to advance health equity. Each webinar focused on a set of strategic practices that health departments can take to pursue a wall-to-wall transformation of how they work internally, with communities, and alongside other government agencies. Organized by Human Impact Partners, these webinars were co-sponsored with the Government Alliance on Race and Equity, the National Collaborative for Health Equity, and NACCHO’s Health Equity and Social Justice Committee. The webinar series is funded by The California Endowment. Read the case studies highlighted in this webinar from New York City and Rhode Island. Dr. Murray has spent her career serving the medically underserved. 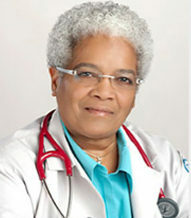 She has worked in a variety of settings including practicing Occupational Medicine at a Workers Clinic in Canada, Residency Director for Occupational Medicine at Meharry Medical College, Bureau Chief for the Chicago Department of Health, Medical Director for the Cabrini Green Public Housing Project Health Center, and Chief Medical Officer- Primary Care for the Cook County Health System. 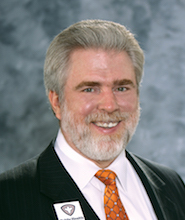 Dr. Murray has been an active member of a wide range of local and national organizations including serving as a member of the ATSDR and NIOSH Boards of Scientific Counselors and the Board of Directors of Trinity Health ( a large Catholic Health system). She has also worked in leadership roles in many public health organizations including as a national advisor for the National Collaborative for Health Equity, NACCHO’s Health Equity and Social Justice Team, and on the APHA National Executive Board, serving as APHA President in 2011. 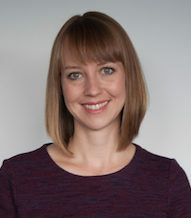 Rebekah is the Director of Health Equity Capacity Development in the Center for Health Equity at the New York City Department of Health and Mental Hygiene. In this role, she has led the development and implementation of Race to Justice – the agency’s transformative process to advance racial equity and social justice across all programs, policies, and practices. She also provides strategic guidance for the agency’s Gender Justice initiative – a similar agency transformation process to advance health equity for people of all gender identities and sexual orientations. Previously, Rebekah was a policy analyst in the Center for Health Equity and Social Justice at the Boston Public Health Commission, where she led development of the Racial Justice and Health Equity Professional Development Series, including a 2-day Core Workshop for all staff. 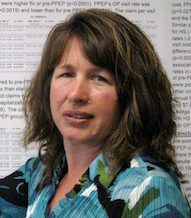 Deborah is the Co-Director of the Health Equity Institute at the Rhode Island Department of Health. As Co-Director, Ms Garneau provides policy leadership to the social and environmental determinants of health affecting vulnerable populations and ensuring health disparities are identified and systematically addressed throughout RIDOH programs. Ms. Garneau also serves as RI’s Title V Maternal and Child Health / Special Needs Director where she leads initiatives in medical home, health care transition, emergency preparedness for people with disabilities, service delivery system development, establishment of linkages between primary and specialty care, provision of peer support, resource development for parents and professionals, ensuring physical accessibility of healthcare facilities, comprehensive surveillance of quality systems of care, and building the community health worker workforce. 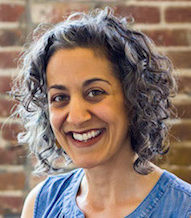 Lili Farhang, MPH, co-directs Human Impact Partners with Jonathan Heller, and is responsible for advancing the mission and strategic direction of the organization. For nearly 20 years, she has visioned, developed, and implemented policy and systems change to advance health equity in the government and nonprofit sectors, and she’s feeling energized by people’s willingness to talk about race, power and the other root drivers of health. These days, Lili spends a lot of time thinking about and developing novel approaches to activate public health around social justice issues and getting the field more aligned with community organizers and advocates. Originally from New York, Lili now lives in Oakland and is kept on her toes by her two little kids and an unhealthy obsession with good TV and the Golden State Warriors. Read the case studies highlighted in this webinar from King County and Madison/Dane County. Prior to joining the new Race Forward, Shawna led efforts develop to strategic relationships, implement internal operations, and contributed to strategy development in Healthy Communities for the Robert Wood Johnson Foundation. Davie founded and served as executive director of Alignment Jackson at United Way of the Capital Area in Jackson, MS, where she raised start-up funds, implemented a regional drop-out prevention campaign, and led a team that increased graduation rates by 11% at a high-poverty, low-income high school in the state’s largest urban school district. She also directed United Way’s education initiative, a project that increased graduation rates dramatically and improved third grade literacy scores district-wide by 15%. Her work with Alignment Jackson and United Way of the Capital Area has demonstrated her strengths in bringing cross-sector service providers, families, advocates, and city leaders together to make a difference in communities of color. Ms. Davie’s career began with the American Civil Liberties Union (ACLU) of Mississippi as a community organizer and lobbyist, where her work focused on reproductive health and justice, youth development, and juvenile justice. Matias Valenzuela is Director of King County’s Office of Equity and Social Justice. He has been at King County for more than 16 years including in public health and leading the county’s equity work. Early in his career, he worked as a journalist in the United States and Central America. 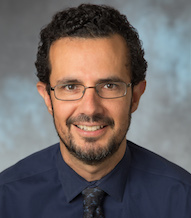 He was a Fulbright professor in Nicaragua, and he is Affiliate Assistant Professor at University of Washington’s School of Public Health and Community Medicine. 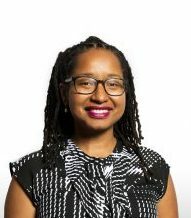 Jordan Bingham has over a decade of experience as a partner, strategist, and facilitator in the areas of public health and racial justice. Jordan is a health equity coordinator at Public Health Madison & Dane County and also works locally and nationally as an independent consultant. In these roles, and as a community member, she leads and supports initiatives aimed at advancing health, inclusion, and racial equity. Jordan holds a Master of Science in Applied Health Science from Indiana University and a Bachelor of Arts in Education from Anderson University. Jonathan co-founded HIP and co-directs the organization with Lili, setting its strategic direction and advancing its mission. He’s dedicated to advancing health equity by addressing the main causes of inequities — social, economic, and environmental policies — as well as the causes of inequities in those policies — power imbalances and racism and other forms of oppression. He’s thrilled to see public health starting to engage more deeply in social justice work these days. When he’s not at HIP, Jonathan is likely hanging out with his wife, 2 kids, and/or dog, supporting social justice in other ways, or doing all of those things together. Read the case studies highlighted in this webinar from Alameda County and Kansas City. 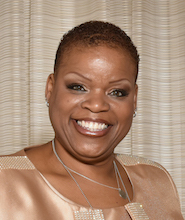 Evonda Thomas Smith, RN, MSN is a doctoral candidate and nurse leader with over 26 years of progressive, community and clinical administrative experience in Public Health. She is a champion for public health and population-based service excellence. Mrs. Thomas-Smith is a positive change agent responding to the increasingly challenging public health environment. Mrs. Thomas-Smith serves as the Director of the Evanston Health and Human Services Department, which she joined in 2005 and directs services through a lens of health equity at the forefront of all operations. 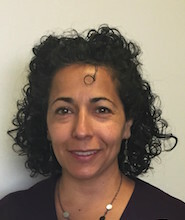 Sandi Galvez is the Director of Health Equity, Policy, and Planning of the Alameda County Public Health Department. Formerly, she directed BARHII, the Bay Area Regional Health Inequities Initiative, a collaborative undertaking of eleven local health departments in the San Francisco Bay Area to transform public health practice for the purposes of eliminating health inequities. She has worked to advance social justice and public health over the past twenty years, and has expertise in health education and promotion, community and labor organizing, organizational development, and policy-advocacy. 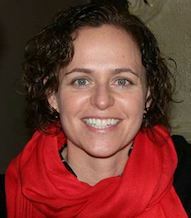 She currently serves on the State of California’s Office of Health Equity Advisory Committee, and has also served on the National Association of City and County Health Officials’ Health Equity and Social Justice Committee, the Bay Area’s Metropolitan Transportation Commission Policy Advisory Committee, and as a Planning Commissioner in the City of Oakland. She holds a Master’s degree in Social Welfare from the University of California at Berkeley. Dr. Rex Archer is Director of Health for the City of Kansas City, Missouri, an accredited health department and winner of the National Association of County & City Health Officials (NACCHO) 2016 Local Health Department of the Year Award and led the community to a 2015 Robert Wood Johnson Foundation Culture of Health Prize. He is a Past-President of NACCHO, an executive committee member of the Public Health Accreditation Board, served on numerous national committees, and is responsible for safeguarding the public health of nearly half a million people and a daytime population of almost one million. 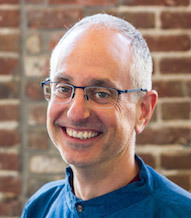 Jonathan Heller co-founded Human Impact Partners and co-directs the organization with Lili Farhang, setting its strategic direction and advancing its mission. He’s dedicated to advancing health equity by addressing the main causes of inequities – social, economic, and environmental policies — as well as the causes of inequities in those policies — power imbalances and racism and other forms of oppression. He’s thrilled to see public health starting to engage more deeply in social justice work these days. When he’s not at HIP, Jonathan is likely hanging out with his wife, 2 kids, and/or dog, supporting social justice in other ways, or doing all of those things together. Read the case studies highlighted in this webinar from Omaha and Minnesota. Andy Wessel, MPH is a Community Health Planner with the Douglas County Health Department in Omaha. 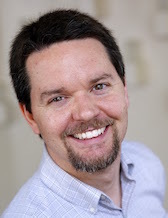 After coordinating a $5.7 million Communities Putting Prevention to Work (CPPW) grant and leading multiple Health Impact Assessments, Andy is currently working on improving public participation in decision-making and building the capacity for the Douglas County Health Department to serve in a chief health strategist role. He helps facilitate the work of both an internal Health Equity Team and an external cohort of local health equity champions called Common Quill. Jeanne F. Ayers, RN, MPH serves as Chief Health Equity Strategist and Assistant Commissioner for the Minnesota Department of Health (MDH). She led development of the “Advancing Health Equity in Minnesota Report , establishment of the Center for Health Equity and the role of American Indian Health Director. Ayers has worked with broad-based community organizers to deepen the public understanding of the social determinants of health and their relationship to race, place and class. She served as the chief architect of ISAIAH’s health equity work and launched the Healthy Heartland Initiative a partnership between public health and community organizing organizations in five Midwestern states. 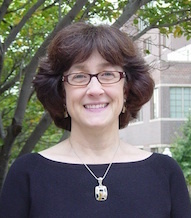 She was selected as the 2010 University of Minnesota Josie R. Johnson Human Rights and Social Justice Award winner for her work on health and racial equity. © 2019 Human Impact Partners. All Rights Reserved.